The AX8 Dual Evo full face motorcycle helmet is part of the AX8 family, designed to be as versatile as possible and meet the specific demands of distinct styles of riding such as street fighter to naked bikes . The AX8 family has a Carbon/Aramid/Fiberglass SSL shell (in 3 sizes), offering exceptionally lightweight, a fully removable washable Dri-Lex lining and AGV’s Integrated Ventilation system with channels hollowed directly through the shell for excellent ventilation. The AX8 Dual Evo version is specifically aimed at the adventure rider that needs a helmet that can be worn both on and off road in all conditions, it has a removable peak (designed to minimize the “sail effect”) and removable visor (so the helmet can be used with goggles). A new addition to the AX8 collection is the Ranch. 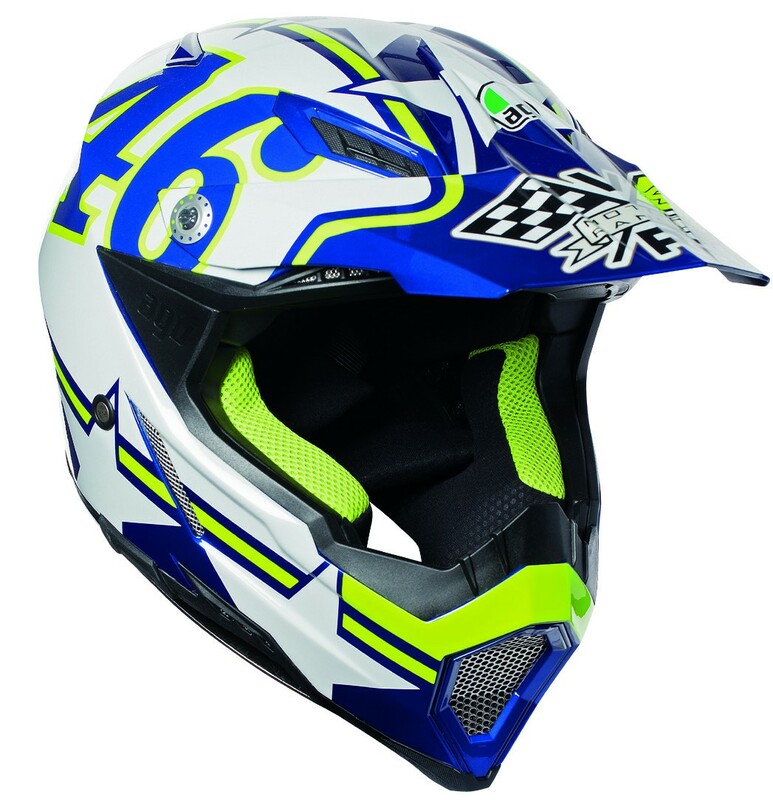 This colour way is to celebrate the motor sport legend Valentino Rossi and his renowned training ranch.